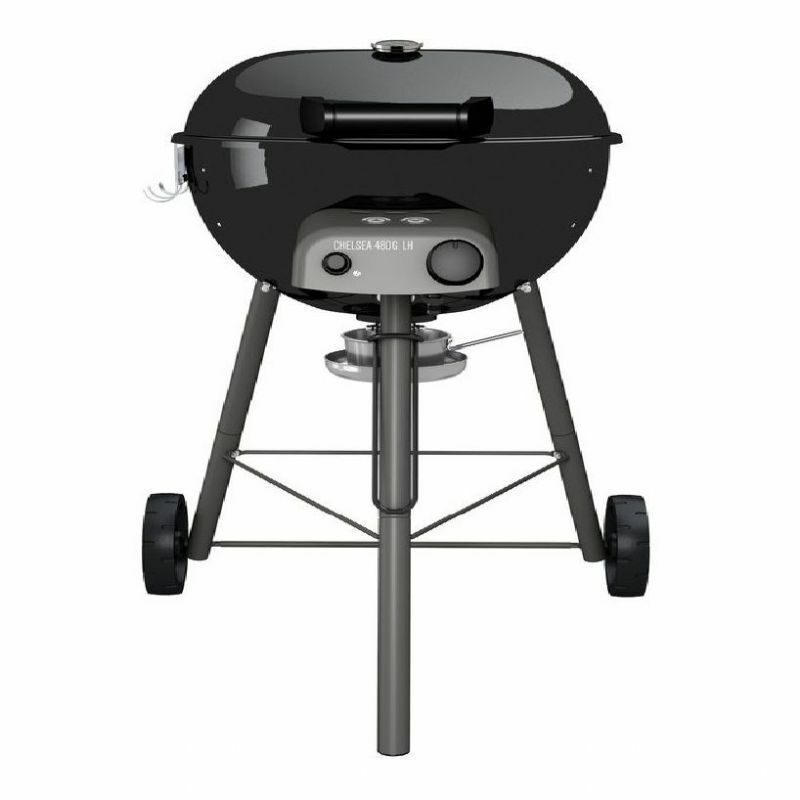 With its Swiss design and efficient Easy Flip System that turns one BBQ system into two, the Outdoor Chef Chelsea 1 Ring Burner System 480 G LH Black will make your barbecues even more effortless and enjoyable. 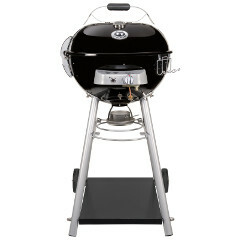 With a classic kettle BBQ design, the Outdoor Chef Chelsea 1 Ring Burner System 480 G LH Black is the perfect BBQ system for on the home patio or balcony, out in the garden or even while at the beach or camping. 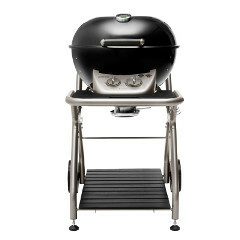 Featuring porcelain enamel for durability and ease of cleaning, this good looking and highly efficient BBQ system will quickly become the envy of all your friends at your next BBQ party. 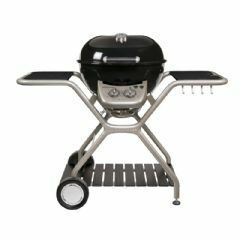 The Outdoor Chef range of gas barbeques feature the Easy Flip Funnel System which transforms your BBQ’s cooking style from direct to indirect heat quickly and easily. 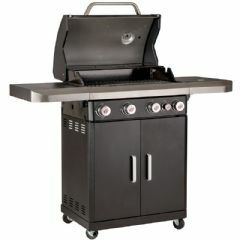 Direct grilling helps you to create the perfect mouth-watering seared steak, while indirect heat allows you to distribute heat evenly throughout your BBQ, creating soft and succulent vegetables and roasts. 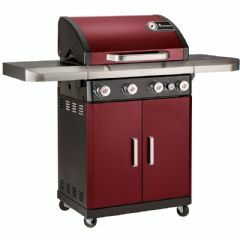 The spacious 45cm diameter grid is perfect for cooking for a small family and friends sized feast. Please note: Your barbecue should be kept covered at all times when not in use. For a cover to give optimum performance, please ensure that you remove any moisture from the model before placing the cover over it to avoid mould forming underneath. 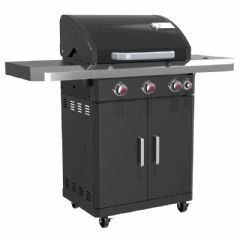 Even when a barbecue is placed inside a shed or garage, please continue to keep it covered to avoid dust and insect build up.